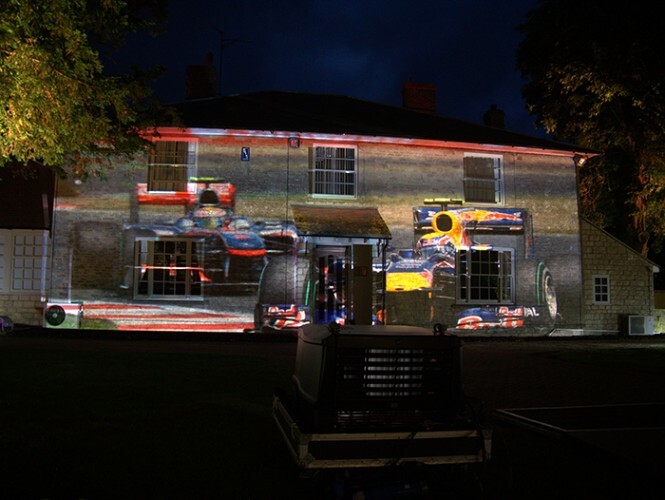 A.C. Entertainment Technologies (AC-ET) Ltd, one of the industry's leading entertainment technology suppliers, provided spectacular video projection for the British Racing Drivers’ Club's (BRDC) dazzling annual British Grand Prix party at Silverstone racing circuit. 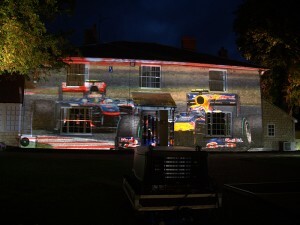 Staged every year on the eve of the F1 Santander British Grand Prix, this year a party was held for the first time at the BRDC Farm, which is adjacent to the celebrated race track. 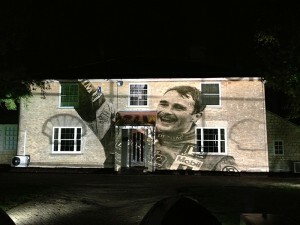 The legendary event attracted high-profile members and personalities from the world of motor sport. AC-ET, which is a Patron of the British Racing Drivers’ Club’s exclusive ‘Rising Stars’ Programme, worked closely with the BRDC events team to deliver the temporary video and lighting installation. Although AC-ET has a long-standing relationship lighting the event, with the new Farm location this year, AC-ET’s technical manager, James Bawn, decided to bring the façade of the space's Georgian building to life. For this he used dynamic, high-speed racing footage from the BRDC’s own film archive. To achieve the overall look James specified a Green Hippo GrassHopper controlling Barco HD20K Projectors and TV One signal transmission for the projection. To bring the surrounding site to life and further complement the projection he specified various cutting-edge lighting including eight Chroma-Q Color Force Compact fixtures, three A&O Falcon Beam 3K and six Robe Robin 300E Spots. All lighting was programmed and controlled on a Jands Vista S1 control surface connected to a PC laptop running the Vista v2 software. One major challenge for James was time restrictions as the BRDC Farm is used by members during the day to view the circuit activity.